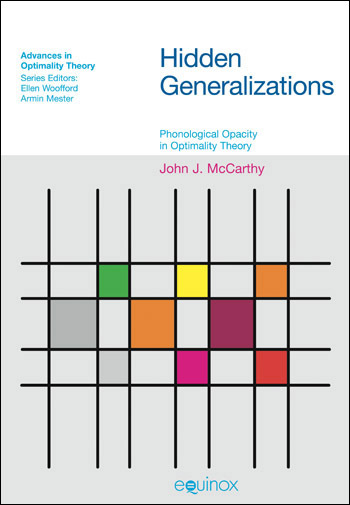 Hidden Generalizations is the first monograph devoted exclusively to the problem of phonological opacity. Opacity arises when the conditions for or results of an active phonological process are not evident in the speech signal. Opacity is particularly important in Optimality Theory, which lacks the standard means of analyzing opacity, rule ordering. This book is a thorough reexamination of phonological opacity. It finds insights in the extensive literature on rule interaction of the 1970s. It describes and critiques the oft-voiced opinion that there are no authentic cases of opacity. It evaluates representational approaches to opacity that emerged in the 1980s. Primarily, though, it discusses various ideas about opacity in OT and offers a new proposal, candidate chain theory. This proposal is illustrated and tested with analyses of the phonology of several Semitic languages.